May is the perfect time to visit Portugal. Despite a few lingering rain showers, spring temperatures are warm, yet mild, making both city exploring and beach-going pleasant. The weather in this country can deviate slightly by region, so familiarize yourself with the average seasonal temperatures in the area you are visiting to help you plan your stay. Those enjoying the island of Madeira and the southern coast will bask in subtropical spring temperatures with warm days and cool breezes and ocean waters. And travelers visiting the cities of Lisbon and Porto, or attending Portugal's famous rally race up north, can experience cooler, yet mild temperatures, requiring only light clothing and a layer for a comfortable trip. Portugal—located on a westerly peninsula in Europe—enjoys a Mediterranean climate. May temperatures average between 72 degrees Fahrenheit (22 C) on the high end and 55 F (13 C) for a low. You can expect comfortable temperatures for sightseeing in Lisbon, hitting it well before the typical tourist season. In Porto, springtime temperatures offer comfortable walking conditions along the historic Ribeira and for enjoying a port wine out on the terrace. To the south, temperatures in Algarve and on the island of Madeira mimic those of early summer making lounging on the beach pleasant and a dip in the ocean tolerable for thick-blooded folks. In May, it's best to prepare for a passing shower with average rainfalls in Lisbon and Porto hovering around 2 inches and 3.8 inches, respectively. However, the further south you go, the less your chances are of encountering inclement conditions. Long days (with about 14 hours of daylight) allow you to pack in all of your daily tourist activities. And sea temperatures hovering in the 60s F make for a refreshing dip should the air reach the 90s F.
Humidity levels for the month average around 65 percent and wind speeds rarely exceed their yearly average of 7 meters per second, again making conditions desirable. Expect to wear your summer clothes during your trip to Portugal, but pack a lightweight waterproof jacket for potential rainfall, closed-toe walking shoes, and long travel pants (made from linen or packable synthetic material). 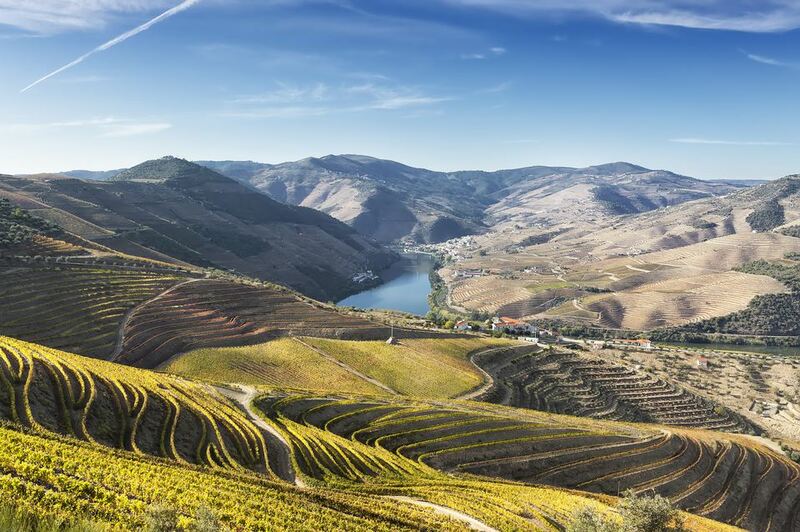 Loose, moisture-wicking layers will come in handy should you decide to hike the Douro Valley. A bathing suit (and a wetsuit for surfers) will be all that you'll need to enjoy time on the beach. Sunglasses, a hat, and sandals or flip flops are useful no matter where your destination takes you. As are a cute shift dress for women and a linen sport coat for men, should you be planning a romantic night out on the town. Madeira's enchanting Flower Festival makes the island a must-visit locale when spring blooms are abundant. Enjoy a parade with floats in the city of Funchal, complete with exhibits and locals dressed in ornate costumes. While there, view the Wall of Hope where children place flowers at the Largo do Colégio to form a wall that symbolizes hope for a more peaceful world. Mid-May marks the time for a religious Catholic pilgrimage, the Peregrinação a Fátima (Pilgrimage to Fátima), attended by both locals and tourists alike. Tens of thousands of people come to Fátima, Portugal each year—some trekking 80 miles from the city of Lisbon—to honor the Virgin of Fátima. The procession can be enjoyed by participants of the faith, as well as onlookers, and culminates around a fountain in the middle of town where holy waters are collected and taken home. Motorsports enthusiasts will enjoy the excitement of the Rally de Portugal that takes place in May around Porto and its northern lying areas. Spectators line the course to see worldwide rally car drivers in action. The course is dusty and undulating with remarkable scenery. Expect to see aerials, crashes, and tire blowouts along the way. Pack along a dust mask and enjoy the post-race festivities back in town. While tourist season in Portugal is just ramping up in May, many tourist destinations will be able to provide you with anything you forgot at home. Sunglasses, sandals, and sunscreen will be available in all coastal areas but expect prices to be higher than if you bought them at home. Also, note that many Portuguese accommodations do not offer in-room coffee makers. So, if you need your immediate cup of Joe in the morning, pack along a portable French press or pour-over coffee maker and purchase your own coffee or tea ahead of time.